The 2019 Canada winter games open this Friday in Red Deer, Alberta. Five Rockets prospects will join an accomplished list of NHLers who have compete in the games including Bob Gainey, Steven Stamkos, Paul Kariya, Nathan MacKinnon and Sidney Crosby. Trevor Wong, Elias Carmichael and Steel Quiring will compete for Team BC’s U16 male team, while Hayden Wilm and Justin Dueck suit up for Team Saskatchewan. 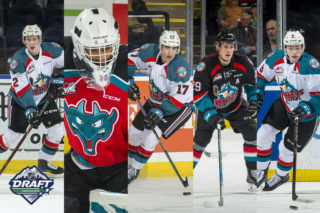 All five players were selected by the Rockets at the 2018 WHL Bantam Draft. Wong and Quiring have both made their WHL debuts with the Rockets this season. 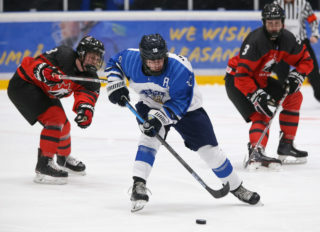 Wong was drafted in the first round, 18th overall after putting up 64 goals and 77 assists for 141 points in just 30 games with St. George’s School Bantam Varsity (CSSBVHL). He also added five goals and 18 assists for 23 points in five postseason games. The 5’8, 135-pound centre, has 33 points (10G, 23A) and 23 penalty minutes in 30 games played with the Greater Vancouver Canadians (BCMML). 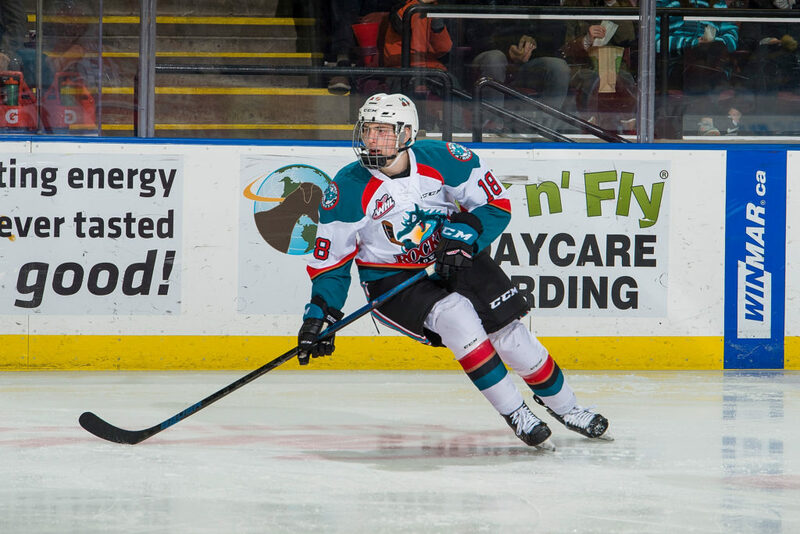 He made his WHL debut with the Rockets on October 27th against the Prince George Cougars. He has one goal in four games played with the Rockets as a 15-year-old. Carmichael, a 6’1, 181-pound defenseman was a second-round pick of the Rockets. Last season he had 19 points (2G, 17A) and 38 penalty minutes in 30 games played with the Burnaby Winter Club Bantam Prep (CSSBHL). This season has 14 points (3G, 11A) and 14 penalty minutes in 26 games played with Burnaby Winter Club Prep (CSSHL). Quiring was taken in the fifth round by the Rockets. Last season he had 40 points (17G, 23A) in 30 games played with the Okanagan Hockey Academy Bantam Prep team (CSSBHL). This season the 6’1, 181-pound forward has continued his offensive production putting up 39 points (15G, 24A) and 20 penalty minutes in 31 games played with the Okanagan Rockets (BCMML). 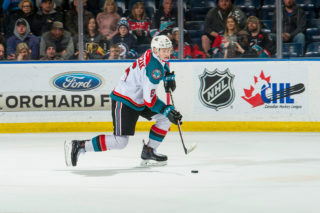 The Vernon product has played two games with the Kelowna Rockets this season. 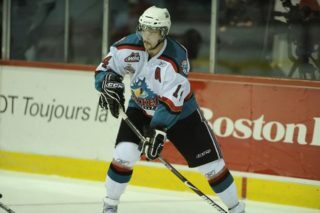 Wilm, a product of Central Butte, Saskatchewan was selected in the fifth round, 106th overall. 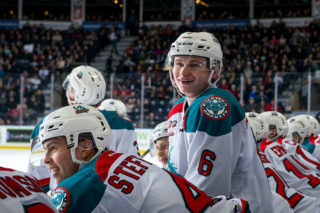 The Rockets drafted him after a 54 point (23G, 31A) campaign in 30 games played last year with the Swift Current Broncos Bantam AA (SBAAHL), he also had 47 penalty minutes. This season the forward has 14 points (4G, 10A) in 34 games and eight penalty minutes with the Saskatoon Blazers (SMHL). Goaltender, Dueck had a 9-5 record with a 3.02 goals-against-average and one shutout with Swift Current Broncos Bantam AA last season. He was taken in the tenth round, 204th overall at the Bantam Draft. So far this season the 6’0, 185-pound netminder has a record of 18-0-0, a 1.50 goals-against-average and four shutouts with Swift Current Hurricanes Midget AA (SSMHL). Team BC will begin their quest for gold on February 16th, 2019 against Manitoba. The game will be televised on TSN2 at 6:30pm PT. Saskatchewan also opens their schedule the same day against Alberta. BC and Saskatchewan will face each other on Sunday, February 17th. All games will be streamed online at canadagames.live. The gold medal game will be broadcast on TSN2 Friday, February 22nd at 6:30pm PT.